For your active little ones, consider one of these fun gymnastics parties New York has to offer. Use this list to find local gyms where you can host the party of a lifetime for your child. Kids have fun running, jumping and tumbling at gym parties. KidsParties.party has a complete list of all types of kids party places in NY, including places that offer gymnastics birthday parties for kids. A Gymnastics Party Like No Other! Celebrate your child's birthday here at Elliott’s Classes. You will be sure that all the kids will have a safe and fun experience learning the basics of gymnastics. Elliott’s Classes offers to plan-out the entertainment and the program for the spectacular children's party, making sure that everyone can enjoy the great celebration. So have a gymnastics party here in New York and let Elliott’s Classes be your place of choice to celebrate it. Gymnastic Party At Jodi's Gym! 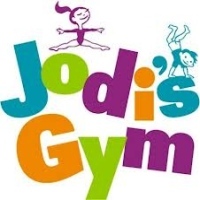 Come and celebrate your child's birthday or any special celebration here at Jodi's Gym. They offer to provide all the fun and excitement for the kids at the party and will make sure that they are supervised by the instructors and teach them some basic moves in gymnastics. Jodi's Gym is the perfect place to have a gymnastics party here in New York. Kids will definitely enjoy an action packed event where they will have fun on the swing bars and the balance beams. So book your reservations and contact Jodi's Gym for an amazing gymnastics party for your children's party. A Fantastic Gymnastics Party At The Little Gym Of Upper Westside! 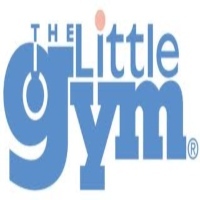 Celebrate your kid's party here at New York's The Little Gym of Upper Westside. It is where they can have fun doing physical activities in the area and will learn the basics of gymnastics. Supervised by highly skilled gymnasts, The Little Gym of Upper Westside will make sure that the event will be a wonderful and safe experience for the kids. So have a party here at The Little Gym of Upper Westside and have the place to yourselves. You will definitely enjoy a great party here. Fun Gymnastics Party Here At Ms. J's Gymnastics & Dance! Plan a children's party here in New York and let your kids enjoy and have fun learning the basics of gymnastics. Ms. J's Gymnastics & Dance is the perfect place to have that gymnastics party here in New York. They will teach the basic instructions in gymnastics and will supervise the kids at the same time, making it a safe and fun experience where everyone can enjoy. So have a spectacular children's party here at Ms. J's Gymnastics & Dance and let them make a wonderful celebration for your kids to enjoy. 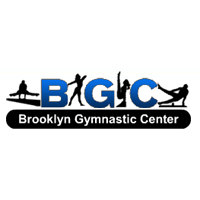 A Fun Filled Event With Brooklyn Gymnastics Center! Make your children's party a fun filled event and celebrate it here at Brooklyn Gymnastics Center. They will provide the entertainment and all the fun. The kids will surely enjoy and will learn simple gymnastics from the experts. A perfect place to celebrate a children's party here in New York, Brooklyn Gymnastics Center will make sure that your party will be a fun and exciting experience for the kids. Have your reservations and contact Brooklyn Gymnastics Center. You will surely enjoy the great party that they can plan for your children's party. Action-Packed Gymnastics Party Here In New York! Have a children's gymnastics party here at Gold Medal Gymnastics Centers. They will make sure that the party will be a fun filled event where the kids can enjoy and learn the basics of gymnastics. 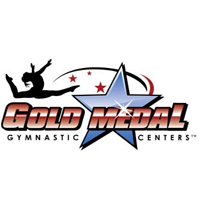 With their professional instructors, Gold Medal Gymnastics Centers will make sure that the party will be a safe and exciting experience for the kids. So come celebrate your kid's party here at Gold Medal Gymnastics Centers. They guarantee to make your children's party a memorable experience that everyone will enjoy. Kids' Party At Chelsea Piers Field House! 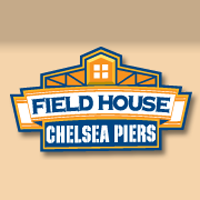 Celebrate your kid's birthday here at Chelsea Piers Field House. You will definitely be satisfied with the services that they offer and their amazing party planning. With a lot of things to do here at Chelsea Piers Field House, kids can enjoy gymnastics and other types of sports. They will surely enjoy the party and will have a great time. So have a children's party here in New York and celebrate it here at Chelsea Piers Field House. For more information and for reservations, visit the website or contact them at their phone number. 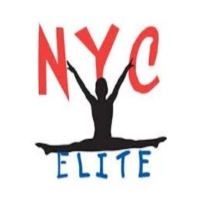 Fun Filled Event At NYC Elite! Celebrate your kid's birthday here at NYC Elite and let them enjoy gymnastics and learn from the professionals. NYC Elite will make sure that the children's party will be a safe and exciting experience for the kids, and also they will plan-out a spectacular party where the entertainment is lively and fun for everyone to enjoy. Come and celebrate a children's party here in New York and let NYC Elite be your place to celebrate it. Book your reservations and contact them through their website or though phone. Gymnastics Party Here At NY Kids Club! Have a children's party here at NY Kids Club and let your kids enjoy and learn some amazing stunts in gymnastics. 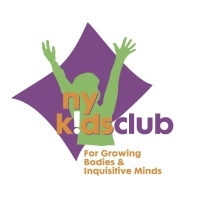 NY Kids Club will provide an amazing party making sure that the kids will have a safe and fun experience at the venue. Celebrate a memorable occasion with your child here at NY Kids Club and you will definitely enjoy seeing your child having a great time learning gymnastics. Children's Party At Uptown Sports Complex! Have a children's party here at Uptown Sports Complex and let your kids and their friends enjoy gymnastics at the party venue. Uptown Sports Complex will make sure that the children will be well-supervised and will be taught the basics on gymnastics for them to be able to do some amazing stunts and at the same time have a great time at the party. 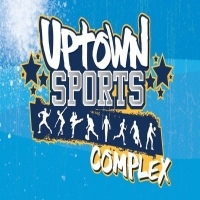 Let Uptown Sports Complex be your place of choice for having a children's party here in New York. Book your reservations and contact Uptown Sports Complex. They guarantee to provide the best children's party that everyone can enjoy.